Sue Gregor's main mission is to share her appreciation of the natural world which she has found to always cheers her up. For the surface pattern, she chooses quite ordinary plants and weeds. 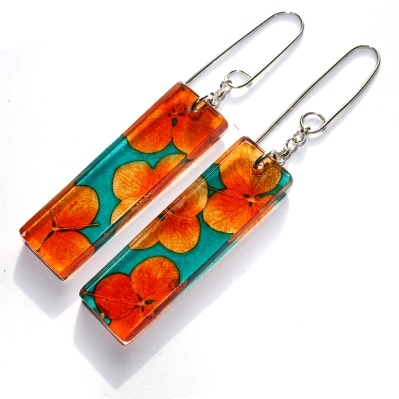 Sue is inspired both by the modernist approach to materials and enjoy cheap plastic items from places like Hong Kong. The aim of her work is to create a marriage between the industrial and the organic. "I hope that the wearer will not only enjoy them as jewellery but also review their appreciation of the natural world." Sue calls the method of dying and embossing plastic that she uses 'fossilized Plastic' due to the fine detail which it is possible to capture within the embossed surface. 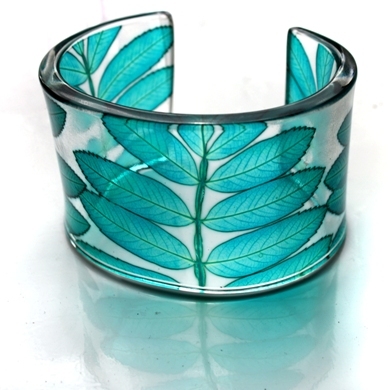 She uses the actual leaves or flowers to create the design. They perish in the process leaving a memory of the relief of their surface on the plastic, like a fossil. 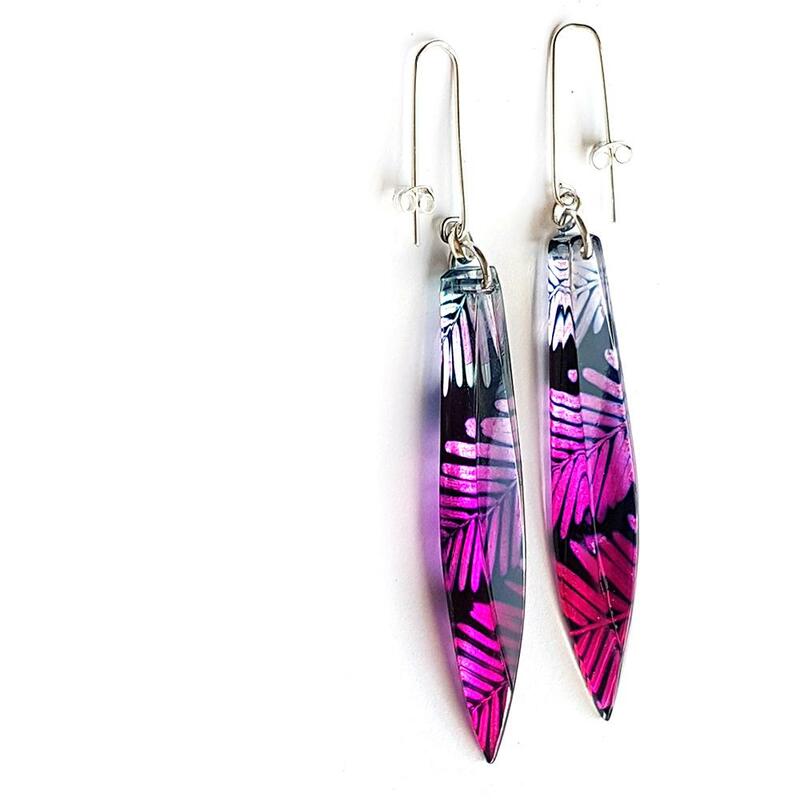 Sue's jewellery is created using acrylic made from 100% recycled materials. It is also free from volatile organic compounds and hydrofluorocarbon, making it more environmentally friendly.